2014 through 2016 proved to be very good years for TRT (Testosterone Replacement Therapy) due to three back to back studies that showed incredibly positive results. In fact, one of the studies easily beat out statins at their own game and dropped heart attack and angina levels dramatically in men with existing heart disease. The results were astonishingly positive and come close to the results of the plaque reversers, i.e. the doctors that regress arterial plaque. Of course, keep in mind that this is just one study and the results are only applicable to men with low testosterone, whereas the plaque reversing doctors work with a broad set of patients. Nevertheless, there is great reason for the TRT community to celebrate these findings, and I summarize the results and studies below for those who wish to dig into more detail. CAUTION: Always consult with your doctor when it comes to any medical condition including heart disease. He or shoe knows your specific situation and medical background: the studies just deal with averages and can have their own issues. Again, this is just an incredible number and appears to achieve much superior results than that of statins. Again, keep in mind, though, that these results only apply to men with low testosterone in the first place. 2. Senior Men Receiving Injections. This study found that "older men who were treated with intramuscular testosterone did not appear to have an increased risk of MI [heart attack]. For men with high MI risk, testosterone use was modestly protective against MI." Injections, in particular, have been criticized - more on that below - as posing some additonal cardiovascular risk but notice that testosterone actually lowered the risk of heart attack in those who need it most. a) A 47% reduction in all cause mortality! c) A 30% reduction in strokes. These are incredible numbers and, as I often point out, it is no wonder considering that testosterone lowers insulin levels and improves insulin sensitivity, something that is a major issue for most 45+ men in modern societies. (See my pages on Testosterone and Diabetes and Testosterone and Metabolic Syndrome for more information.) Again, just because a man goes on TRT does not necessarily mean that anyone has proven that his testosterone has normalized. He may not have been compliant and some delivery systems just do not work in some circumstances. CONCLUSION: In the early days of testosterone therapy (HRT) for men the big concern was prostate cancer. As time went on these concerns were largely allayed, something I cover in my page on Does Testosterone Therapy Cause Prostate Cancer? 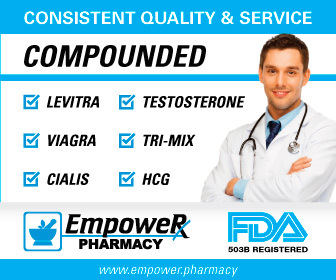 In this environment testosterone therapy has grown exponentially in the last ten years, at least here in the U.S., as the door has been almost completely open for widespread use and adoption. Recent studies now show that TRT appears to be very helpful in the battle against heart disease. Other hormones may help profoundly as well, something I discuss in my page on the Profound Lowering of Cholesterol in Men through HRT. In my layman's opinion, the research overall shows that testosterone therapy significantly improves cardiovascular outcomes in the average hypogonadal man placed on standard TRT. This is actually remarkable considering that some rather lousy protocols are used out there, something that I highlight in my page on Potential Testosterone Injection Dangers. In addition, some men with clotting disorders may be at risk and you can read about this on my page called The Potential Risks of Testosterone Therapy. So talk to your doctor and do your own research as I always say, but it would appear that testosterone therapy still has a bright future ahead of it. NOTE: Before I go on, I want to be clear that I am not a doctor or a researcher but simply another guy out there enjoying the benefits of testosterone therapy. That said, I am probably more interested in the subject that the great majority of physicians out there, simply because testosterone therapy has been such a life changer for me and greatly improved my health from all I can tell. I also have a wife and three kids and certainly do not want to do anything reckless, and so I want to know the strengths and weaknesses of what I am doing. 1) PLoS One. 2014 Jan 29;9(1):e85805, "Increased risk of non-fatal myocardial infarction following testosterone therapy prescription in men"
2) JAMA, 2013, November 6, 2013, 310(17), "Association of Testosterone Therapy With Mortality, Myocardial Infarction, and Stroke in Men With Low Testosterone Levels"
4) Ann Pharmacother, 2014 Jul 2;48(9):1138-1144, "Risk of Myocardial Infarction in Older Men Receiving Testosterone Therapy"
5) Asian J Androl, 2015 Jan-Feb, 17(1):26-31, "Testosterone deficiency and cardiovascular mortality"
6) European Heart Journal, published August 6, 2015, "Normalization of testosterone level is associated with reduced incidence of myocardial infarction and mortality in men"
7) JACC, Apr 5 2016, 67(13), "CLINICAL EFFECTS OF TESTOSTERONE SUPPLEMENTATION AMONG HYPO-ANDROGENIC MEN WITH PREEXISTING SEVERE CORONARY ARTERY DISEASE: THE INTERMOUNTAIN HEART COLLABORATIVE STUDY"